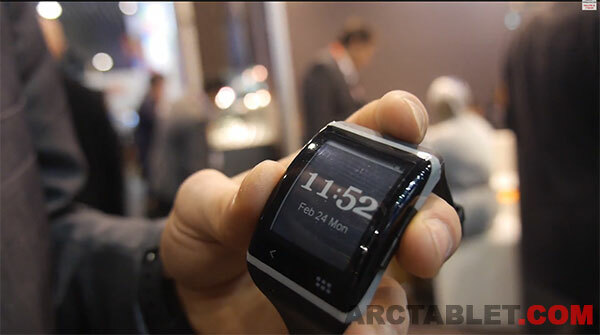 First shown at the CES 2014 last month in Vegas, ARCHOS has introduced their new SmartWatches line of products. 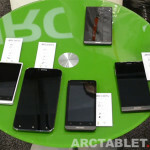 Their higher-end model features an E Ink display which allows better battery life and a very nice looking curved screen. 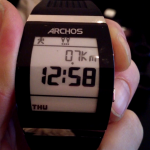 This summer, Archos will release the Touchscreen version of their E-Ink Smartwatch, running an E-Ink optimized UI. Also the screen refresh times seem to have improved over the first model we had our hands on a few weeks ago. Geoffrey Bitard, some product manager at Archos showed the touchscreen E-Ink SmartWatch to Charbax, one of the biggest Archos fans in the world. The thing is that Geoffrey didn’t do much on the SmartWatches. 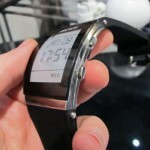 While the first models were rebrands of Yifang, YF Tech and E-Ink SmartWatches, the new model was actually designed by Sonostar. The Sonostar model features an 1.73″ screen, and it has a resolution of 320×240. The funny part is that it should have been available in December 2013 and Charbax had a hands-on of it back in October 2013. 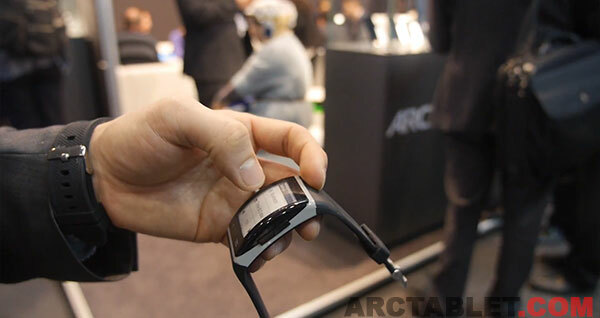 The Archos version will arrive a few months after their first E-ink model which will be available in May or June and will be slightly more expensive. It follows ARCHOS vision that the watches should be simple devices acting as an extension of the smartphone / tablet and should be used mainly for media control and notifications (SMS, emails, social networks). Support is expected for Android and iOS with companion applications available on both app stores. How does E Ink display work ? E Ink also known as electrophoretic ink or electronic ink is a technology was initially developed at Xerox’s Palo Alto Research Center in the 1970s. It was then refined by research at the MIT Media Lab around 1996, which came to a patent and E Ink Corporation was funded the following year. E Ink is actually a nice mix of chemistry, physics and electronics where ambient light from the environment is reflected from the surface of the display back to the reader’s eyes (reflective displays). As explained by about.com, the display consists of a thin film that contains millions of tiny microcapsules, each about 100 microns wide (roughly the diameter of a human hair). E Ink concept is that each microcapsule contains positively charged white particles and negatively charged black particles suspended in a liquid. Applying a negative electrical field causes the white particles to come to the surface while applying a positive electrical field causes the black particles to come to the surface. By applying different fields at various parts of a screen, E Ink can produce a text display. Compared to LCD display used on tablets, E Ink screens offer a really lower consumption as power is only needed when refreshing the display, no power is consumed when the display is static. In addition, E Ink does not require a backlight which also saves energy but can make the display difficult to read in low-light environments: with reflective displays the more ambient light, the brighter the display looks. Compared to other display technologies where screen refresh occurs in milliseconds, it usually takes a few fractions of a second on E Ink display, with some screen blinking involved.